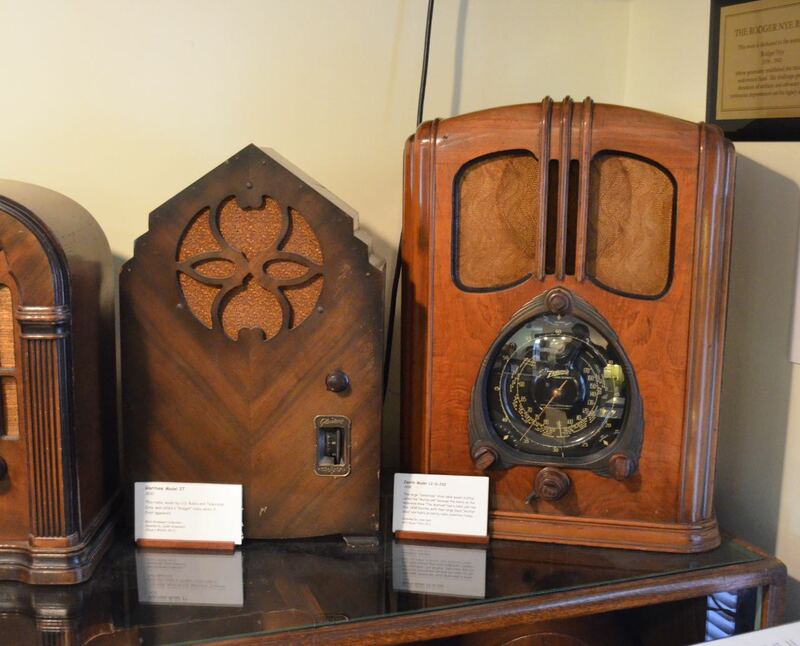 Have you ever mindlessly walked away from your TV with headphones/ear buds still tethered, causing all sorts of havoc? Been there, done that hi hi! Let’s face it; there are plenty of avenues to remedy the situation by upgrading to wireless headphones. 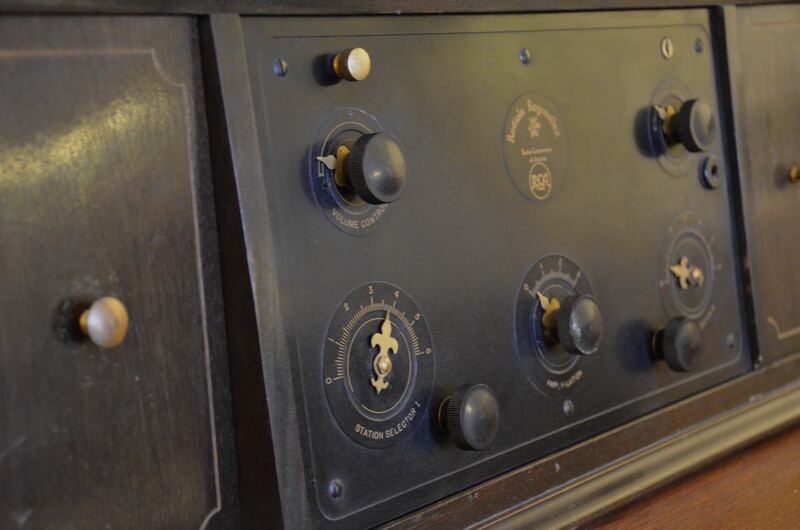 Nowadays most state of the art wireless headphones use radio frequencies to achieve a wireless method of listening. 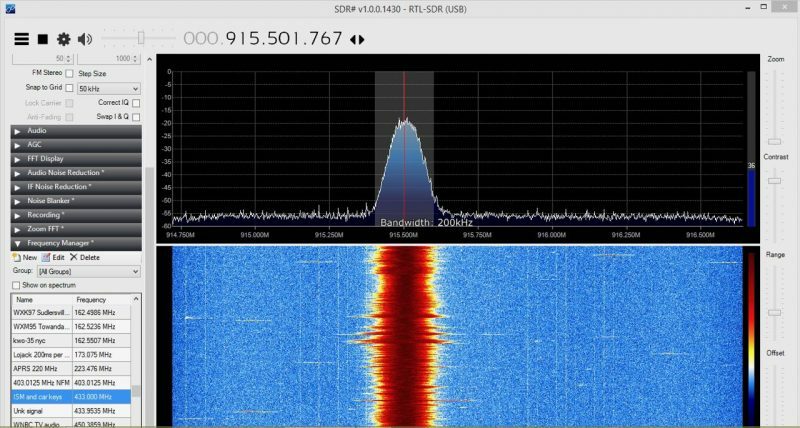 For example, my XYL blissfully listens to TV audio with Sony stereo wireless headphones, using a frequency of 915.5 MHz; below is the actual signal viewed with an RTL-SDR dongle. Sony wireless headphones signal viewed via a SDR dongle; FM modulation. 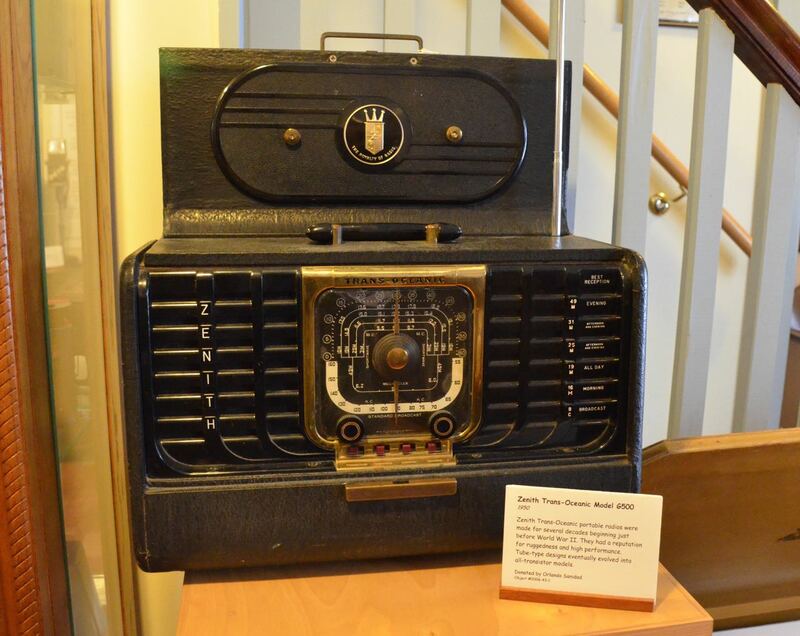 But hold the presses: there’s good news for folks not averse to old-school technology. 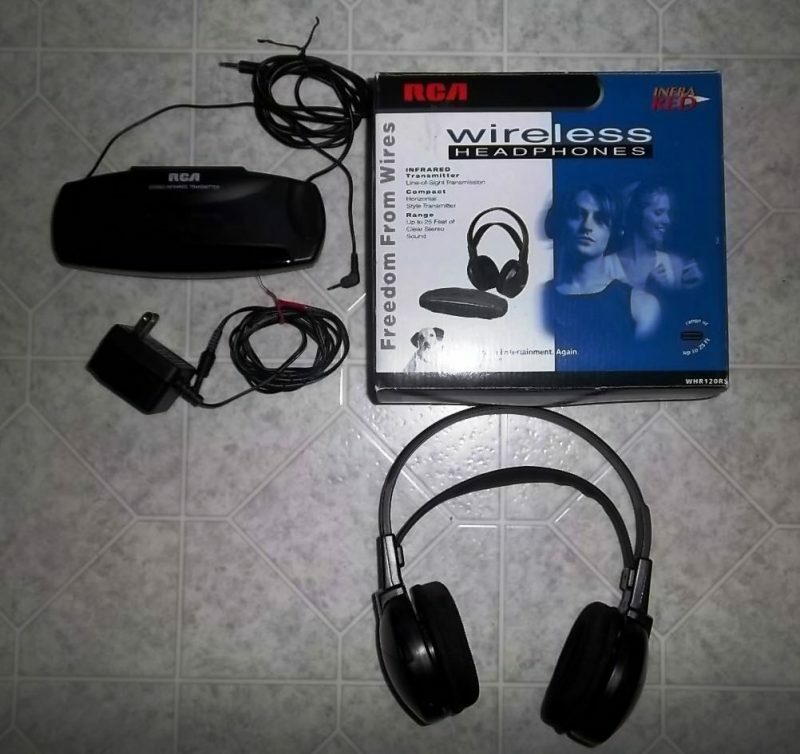 I recently purchased a set of RCA wireless headphones using infrared technology from shopgoodwill.com. Yes, those of us who are somewhat long in the tooth remember infrared as the common method for consumers to “cut the headphone cord” way back when. Infrared is located just above the radio frequency spectrum starting around 300 Gigs (Gigahertz) and is still commonly used in TV and satellite remotes, but less so now with modern wireless headphones operating in the 900 MHz and 2.4 GHz ISM (Industrial, Scientific, Medical) bands. Admittedly, the new breed of wireless headphones possesses an array of options not available with older infrared units, but if you are satisfied with a no-frills method of headphone freedom (well about 25 feet range that is), check out the pre-owned inventory offered on shopgoodwill.com. The pair I purchased started at $7.99 with no other interested bidders so the total with shipping was $16.82 with the original box and was complete, including the rechargeable NiCad batteries which still functioned but undoubtedly will need replacing. To boot, the money went to a charitable organization. Interestingly, I tried using the wireless IR headphones in conjunction with a shortwave receiver (Panasonic DR22) but there was lots of interference, evidently from the IR transmitter; shortwave and the AM BCB were wiped out by the interference. 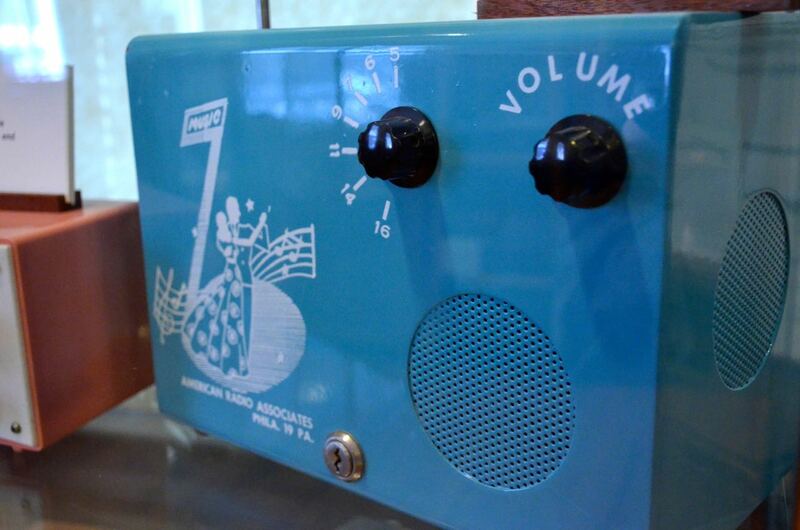 Now on the FM BCB it worked fine. 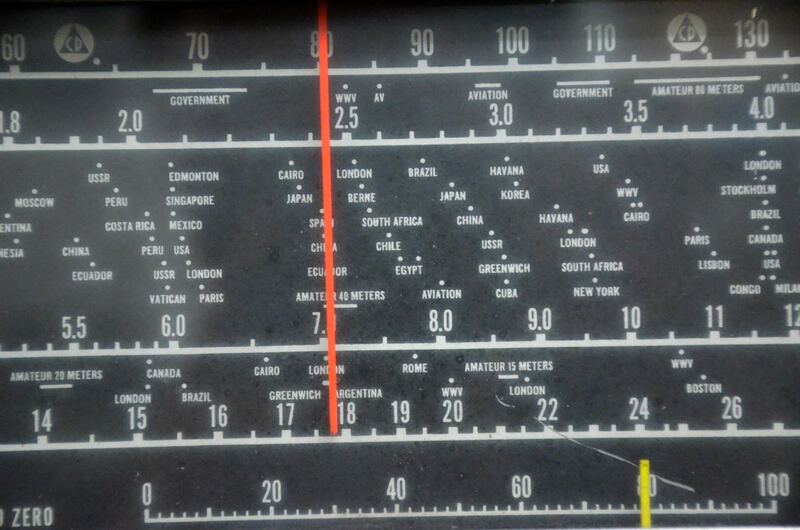 Even tried it with a scanner and it seemed to work well with FM transmissions (police, fire, EMS) but not with aero AM (108 – 136 MHz). In the end my venerable older headphones have been relegated to the “shelf of infrequently utilized equipment.” Radio hobbyists might want to visit www.shopgoodwill.com as there are lots more radio memorabilia for window shopping or adding to one’s armamentarium. Remember to read the descriptions carefully as to the working condition. In the interest of full disclosure, I am not associated with ShopGoodWill in any way except that I’m a very satisfied customer. And yes, there are new, state-of-the-art wireless headphones available at a comparable price, so why the reason for this tale? 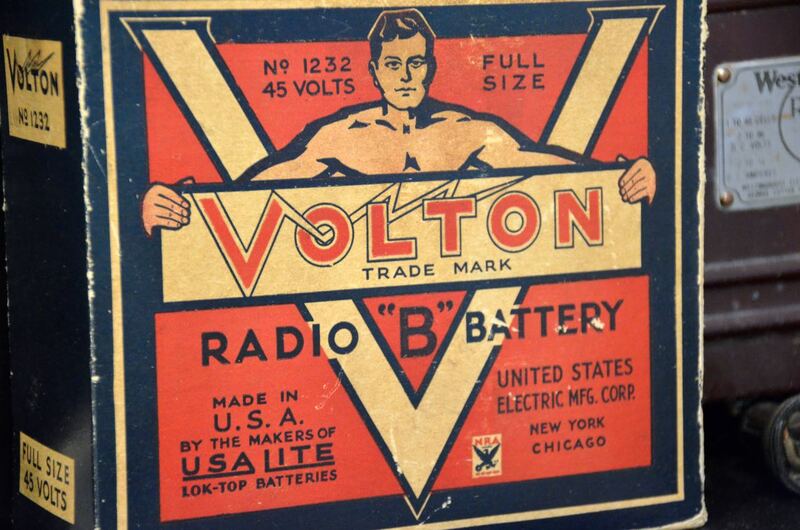 Well, for knowledge, a little history, and a dash of sentimentality, that’s all! hi hi! 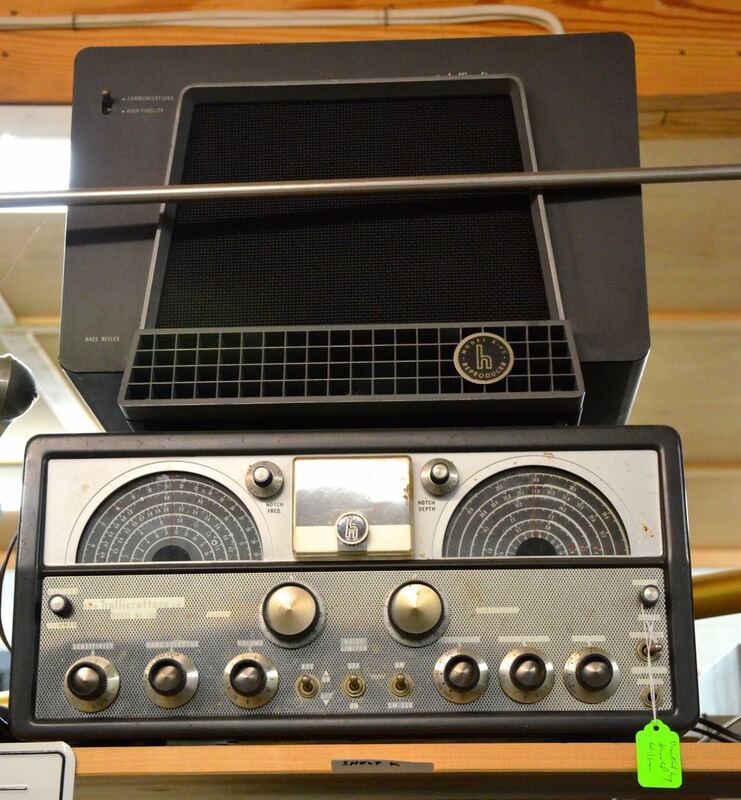 I briefly worked in a RadioShack store in the mid 1990s. 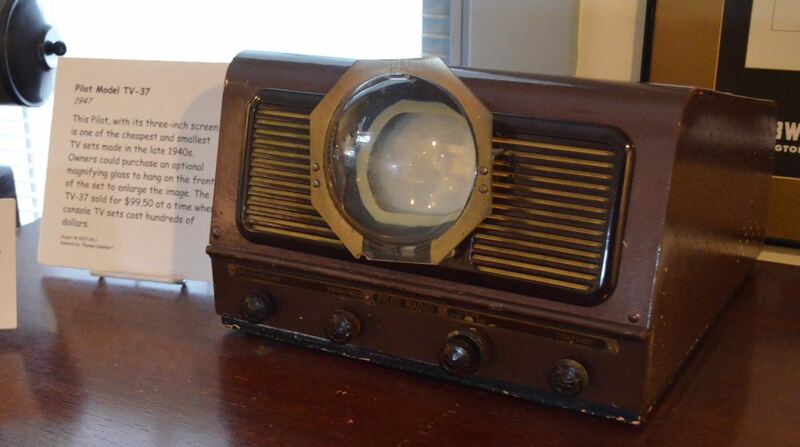 We had a set of IR wireless headphones on display and hooked up to a receiver. I remember putting them on and listening to music after/before store hours completing mindless tasks like inventory, clean up, etc. It felt incredibly liberating to walk around the store without a headphone cord umbilical cord! The IR footprint covered the entire store, but fell apart if I had to duck below an end-cap or shelf partition. 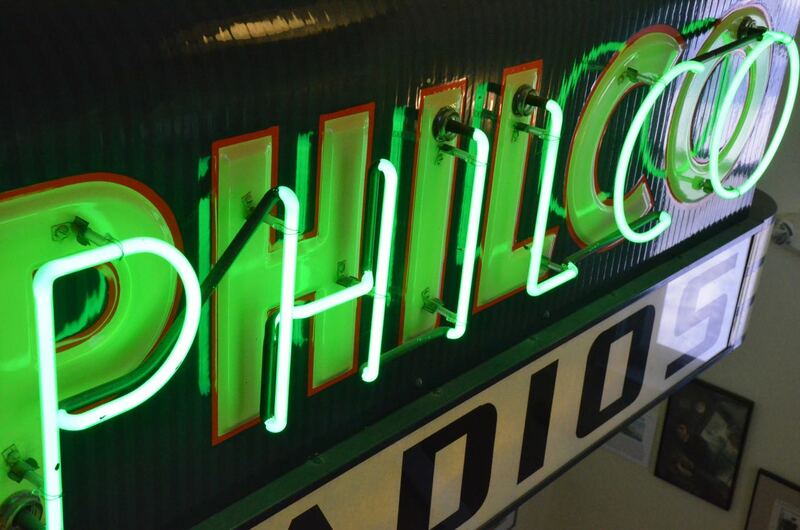 Thank you for taking us on a wireless stroll down memory lane, Mario! 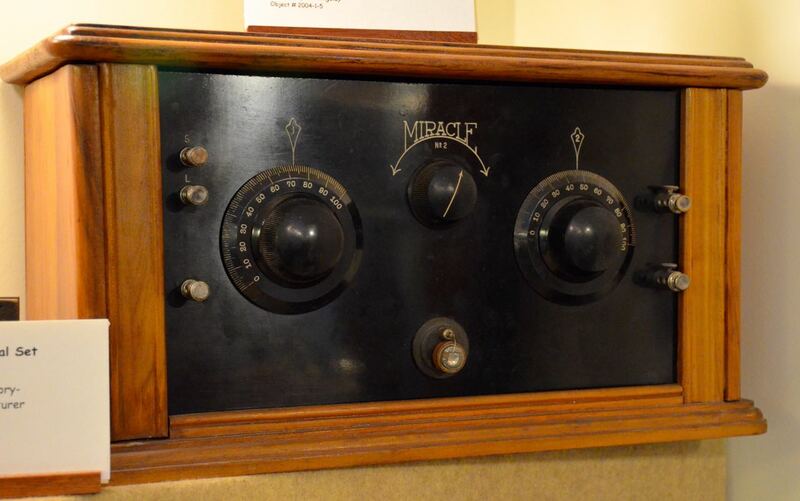 This entry was posted in Accessories, News, Reviews and tagged Guest Posts, Headphones, Mario Filippi (N2HUN), RCA, RCA Infrared Wireless Headphones on July 26, 2017 by Thomas. 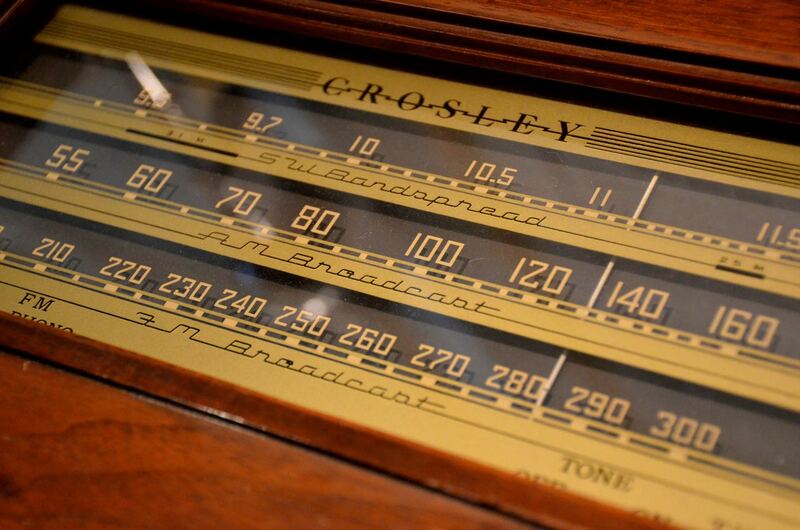 Near the end of the current episode of “Prime Suspect: Tennison” [the radio operator mentions] he was listening on “the RCA 88”. “Tennison” is set around the early ’70’s. Great catch, Mike (and thanks to Eric WD8RIF for the screen cap). 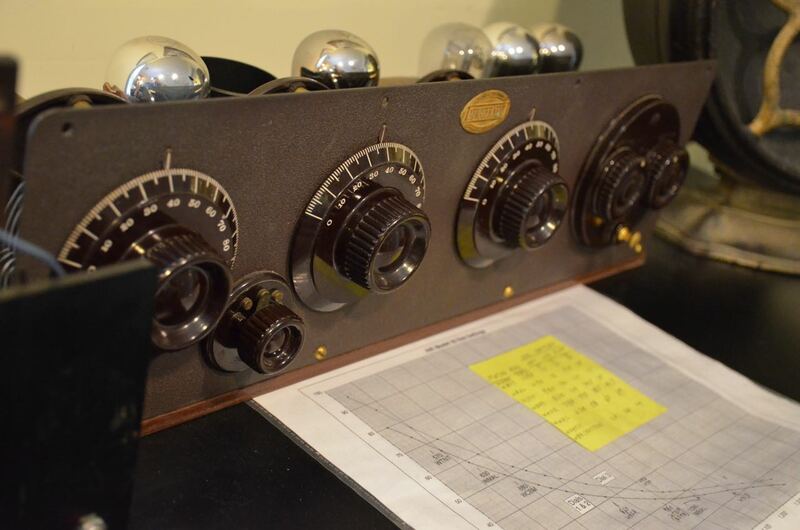 The AR-88 was a valve-based shortwave general coverage communications receiver, developed and built by the Radio Corporation of America (RCA) in the early 1940s. 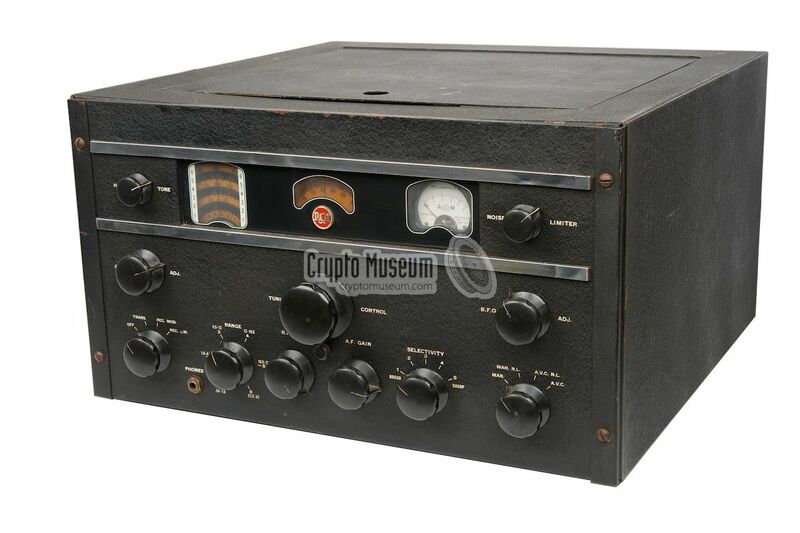 Although the receiver was initially intended as the successor to the AR-77 amateur receiver, the outbreak of WWII made it evolve into a professional high-end military-grade receiver for which cost was no object. 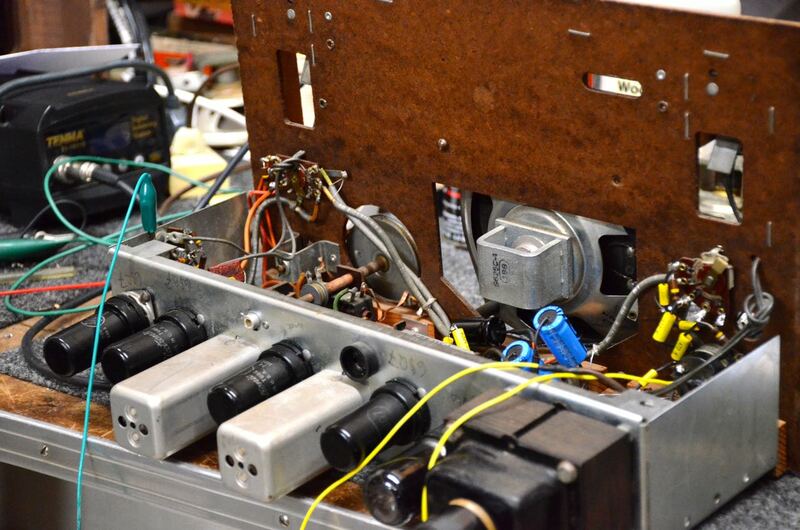 The AR-88 is a 14-valve (tube) receiver, which covers a frequency range of 535 kHz to 32 MHz. 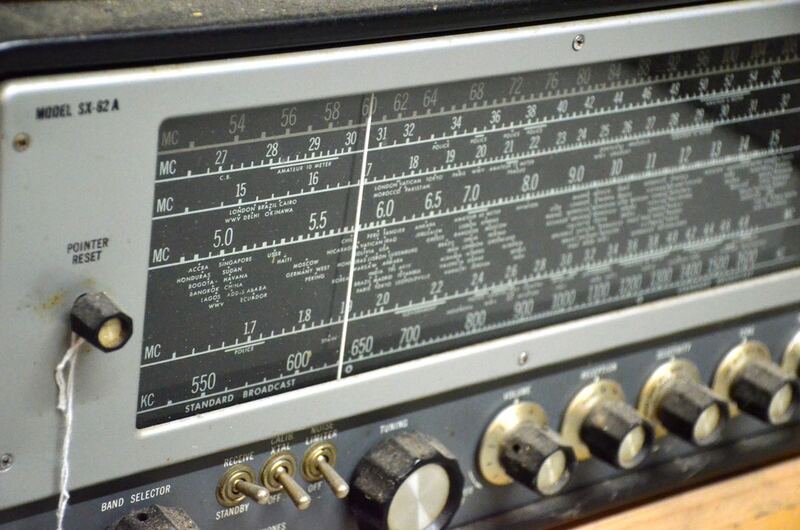 Unlike the National HRO receiver, which had pluggable coil packs for each frequency band, the AR-88 uses a six-position band selector. 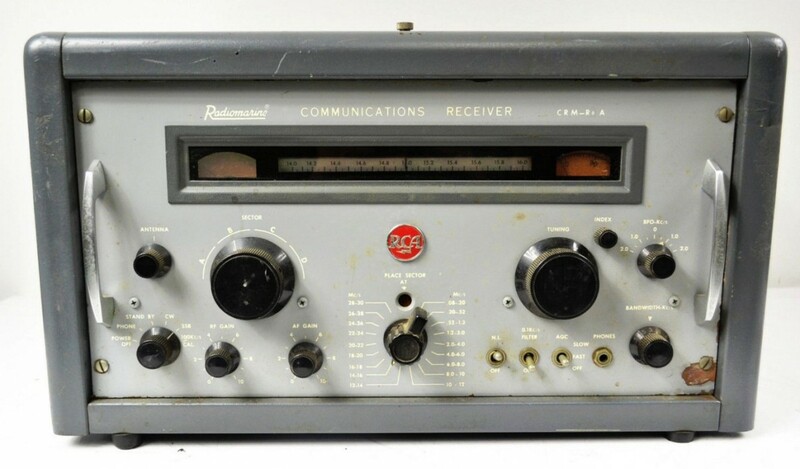 A special version of the receiver, the AR-88LF, was suitable for LF and MF, covering 70 to 550 kHz (continuously) and 1.5 to 30 MHz (continuously). 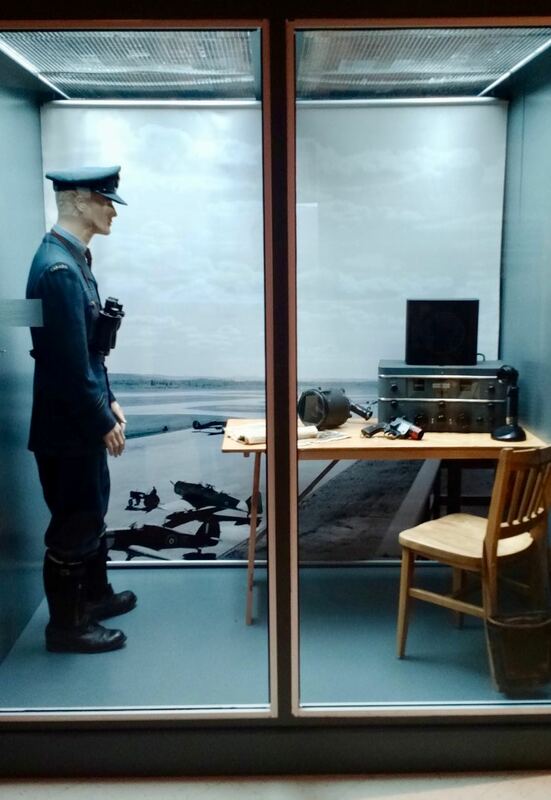 Last year, I visited the Musée de la Défense Aérienne at the Canadian Forces Base (CFB) Bagotville (a museum I wholeheartedly recommend, by the way). 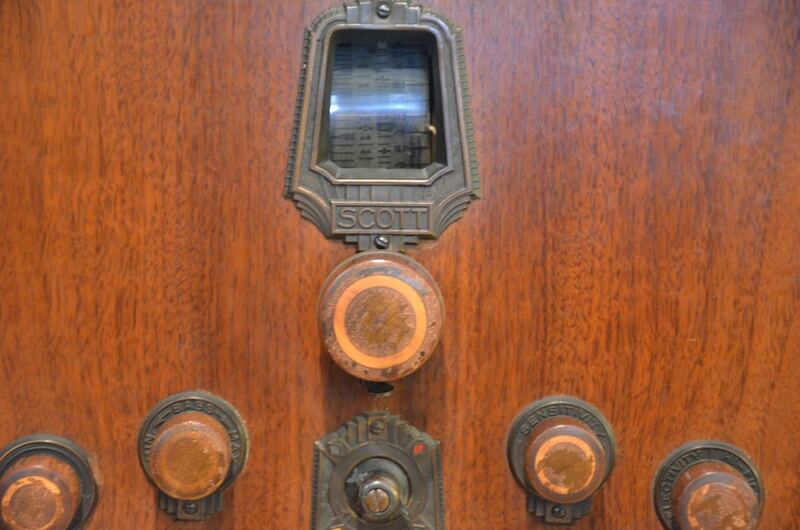 I’m sure I actually have a close up of this receiver somewhere. 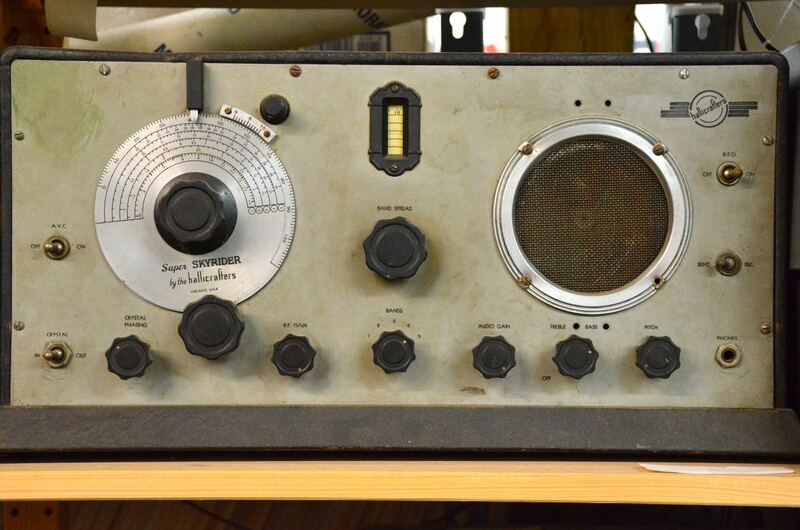 It also appears to be an RCA AR-88 based on dial and control configuration, though I certainly could be wrong. 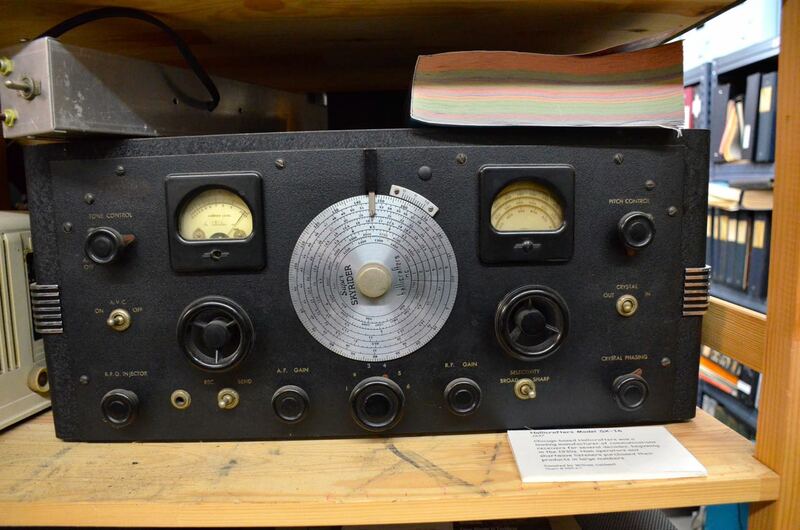 Do any SWLing Post readers have an AR-88? Please comment! 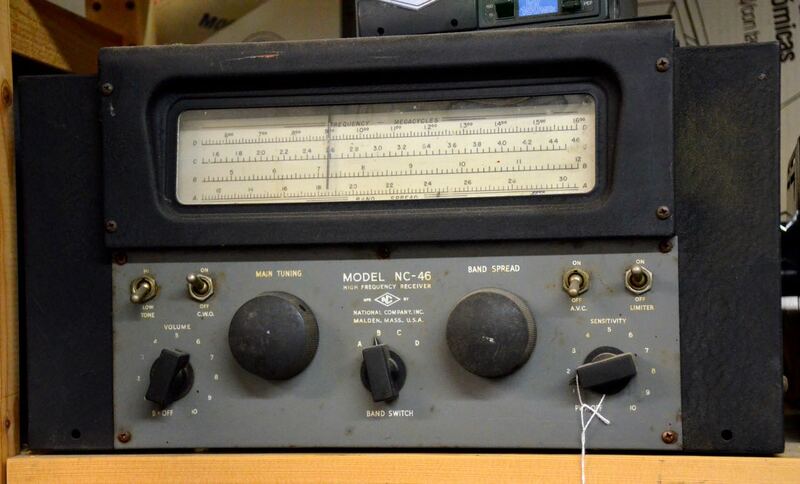 This entry was posted in Aviation, Boat Anchors, News, Nostalgia, Radios, Shortwave Radio and tagged AR-88, Mike (K8RAT), Radios in Movies, RCA, RCA AR-88, Shortwave Film, Vintage Radio on July 21, 2017 by Thomas. 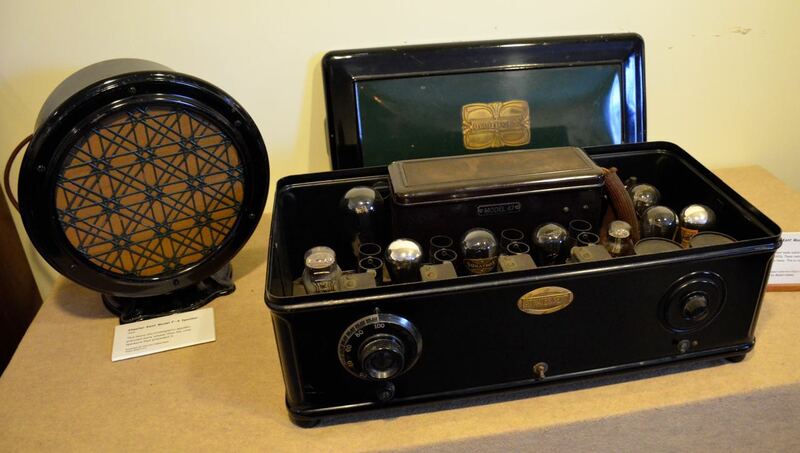 I just checked Fred Osterman’s Shortwave Receivers Past and Present. It appears the CRM-R6A is a “double conversion super” with 16 tubes and typically weighs 92 lbs. 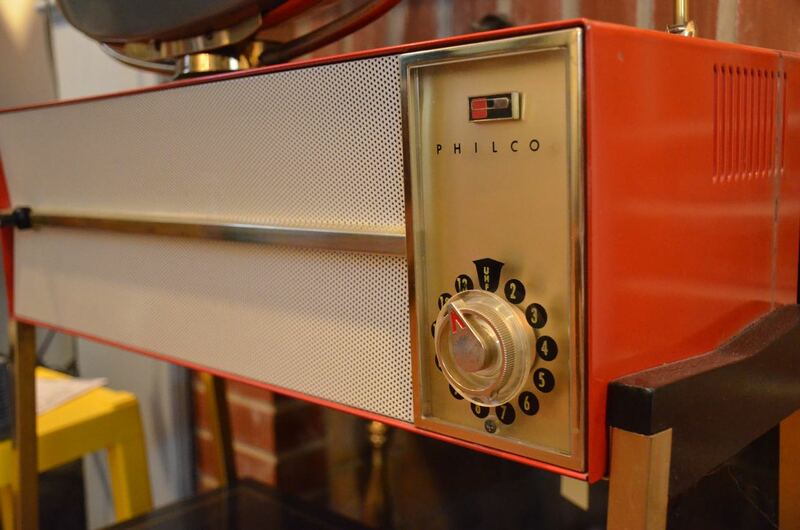 They were manufactured in the US between 1965 – 1969 and cost $1795 when new. 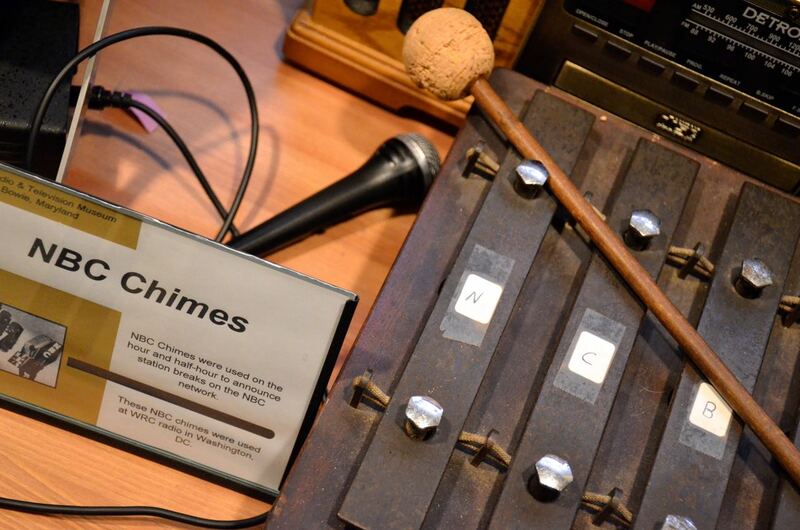 The CRM-R6A can be mounted in a rack, of course. 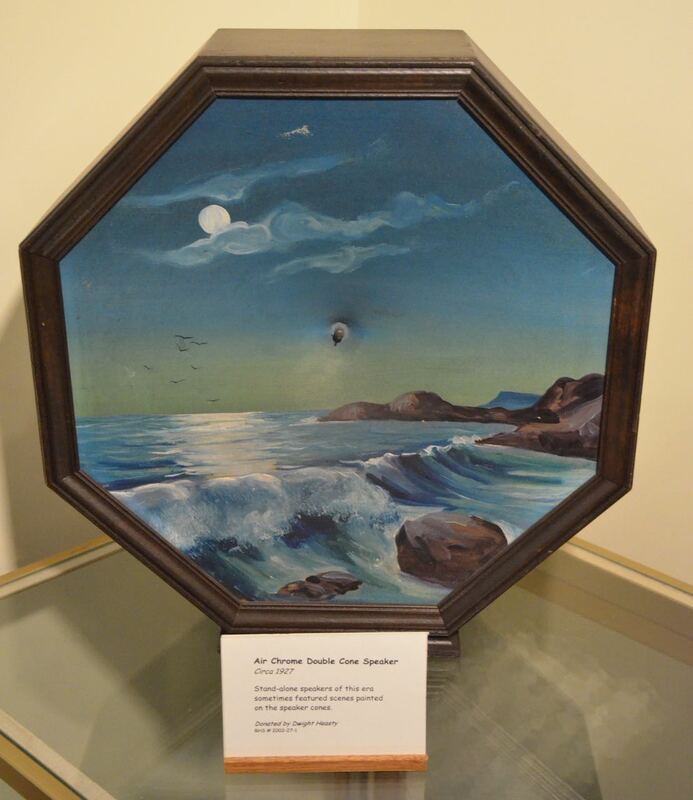 It’ll be interesting to see if someone meets the first bid amount of $750. 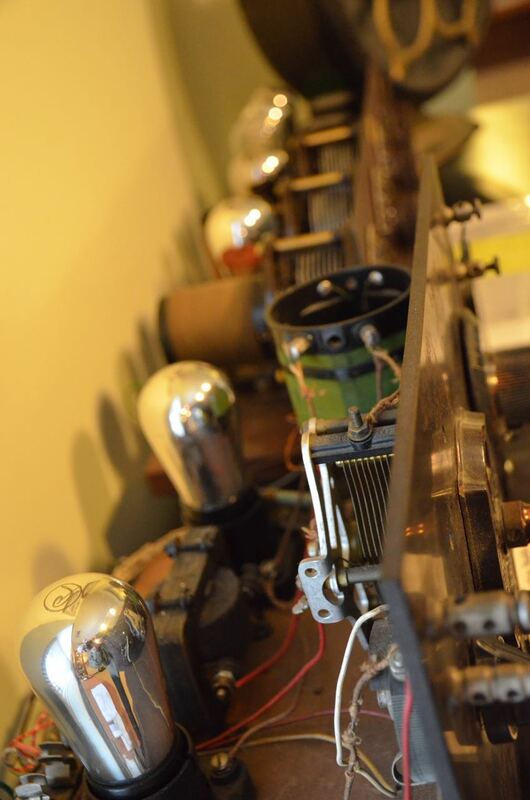 Regardless, that’s some serious heavy metal! 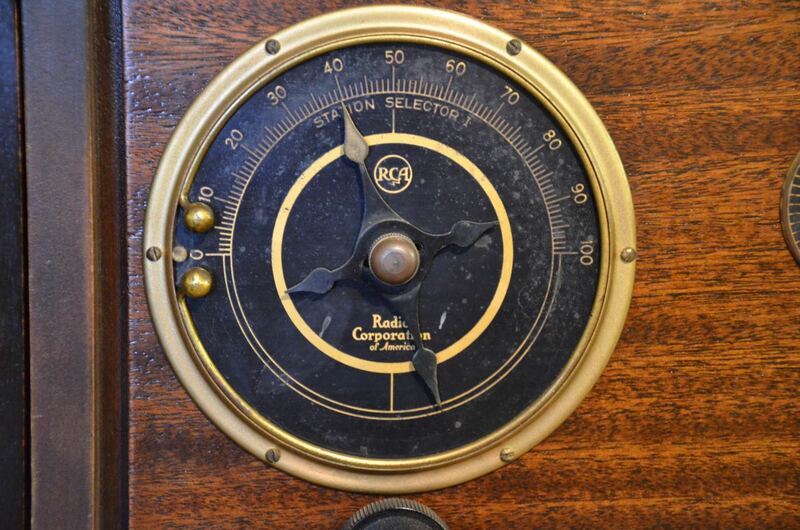 This entry was posted in Boat Anchors, Deals, News and tagged CRM-R6A, Dan Robinson, RCA, RCA CRM-R6A on February 5, 2016 by Thomas. 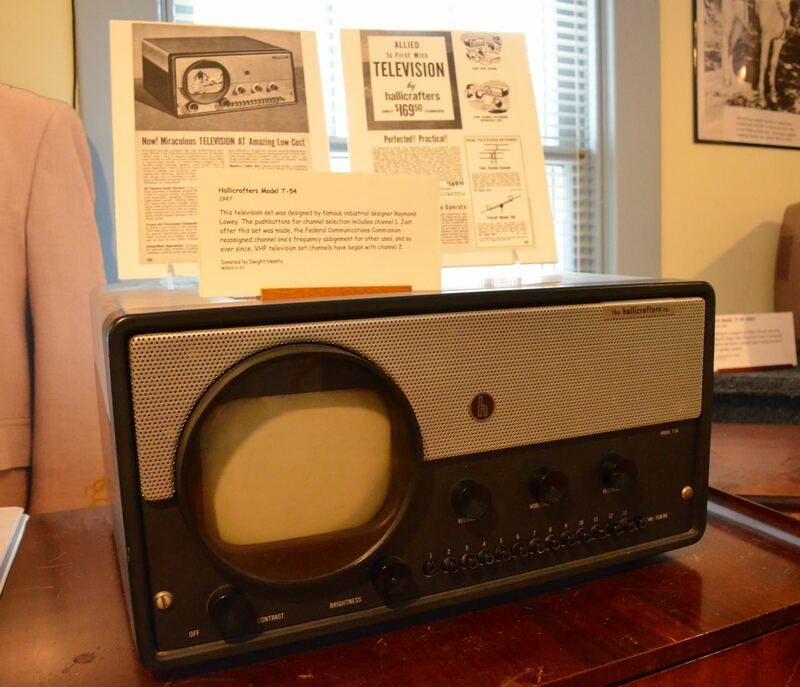 On Tuesday afternoon, I made a pilgrimage the to the National Capital Radio and Television Museum in Bowie, Maryland, USA. 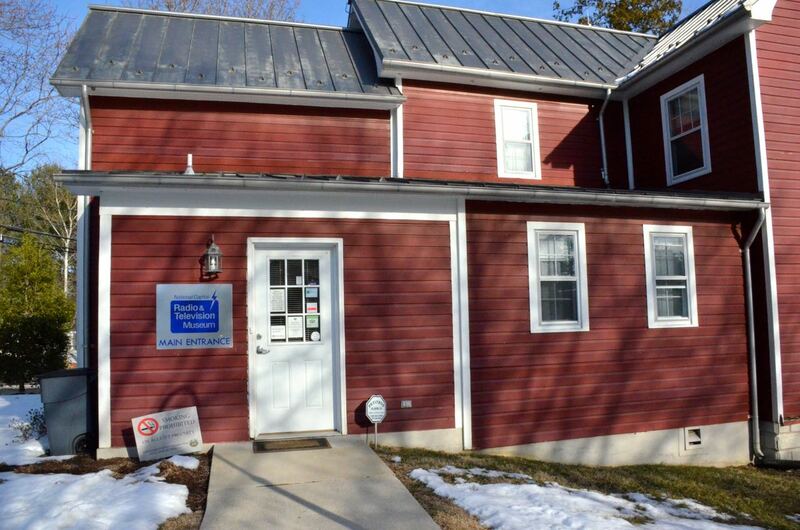 The museum is located in a modest and beautiful historic house on the corner of Mt. Oak and Mitchellville Roads in Bowie. 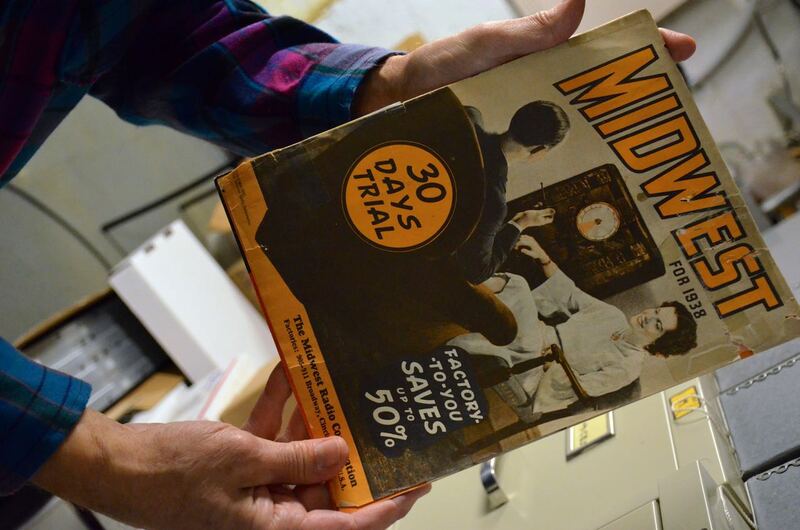 Museum Curator and volunteer, Brian Belanger, kindly gave me a private tour of the museum collections (the museum is closed on Tuesdays). Many thanks to Brian for taking time out of his day for the tour, and for allowing me to take some photos for the SWLing Post! 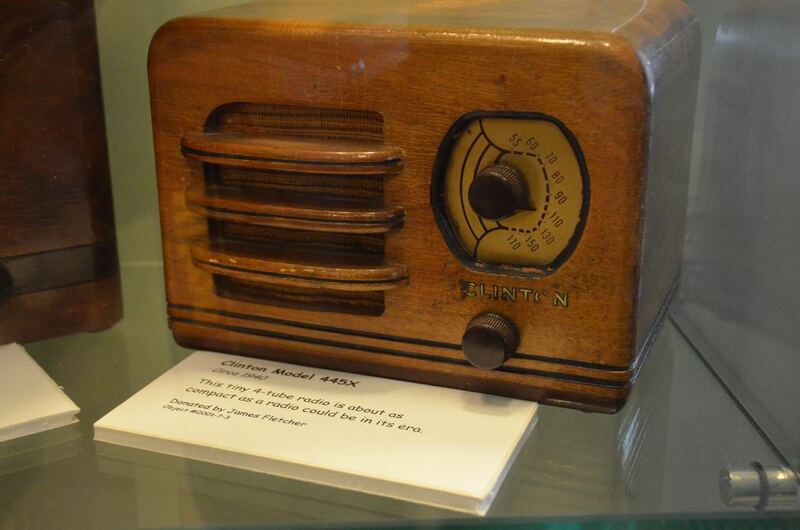 The museum has a number of display rooms with radios broadly grouped by style and decade. 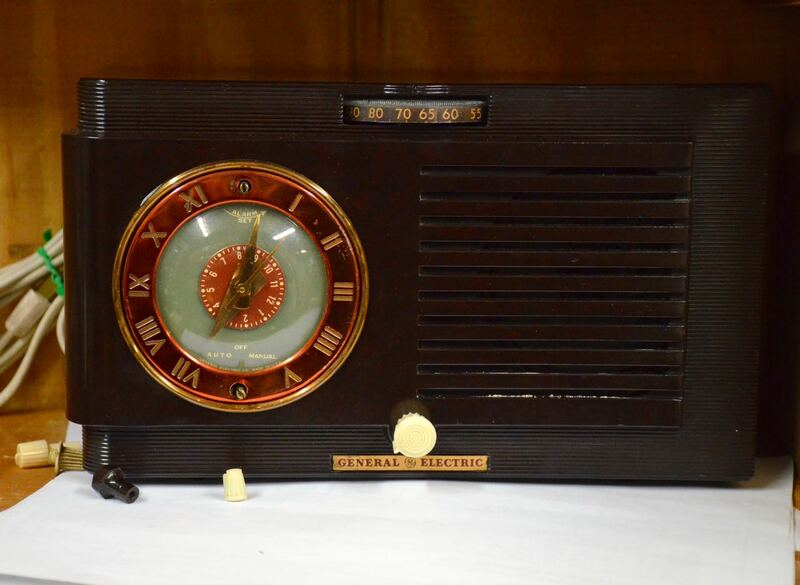 The first room offers examples of some of the earliest radios produced–including the venerable crystal radio (below). 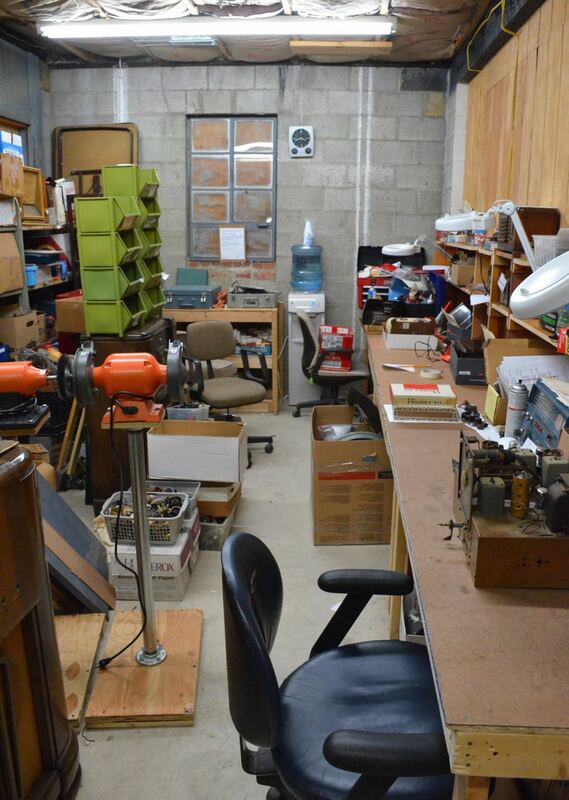 Like Brian, numerous volunteers work to keep the collections in working order. 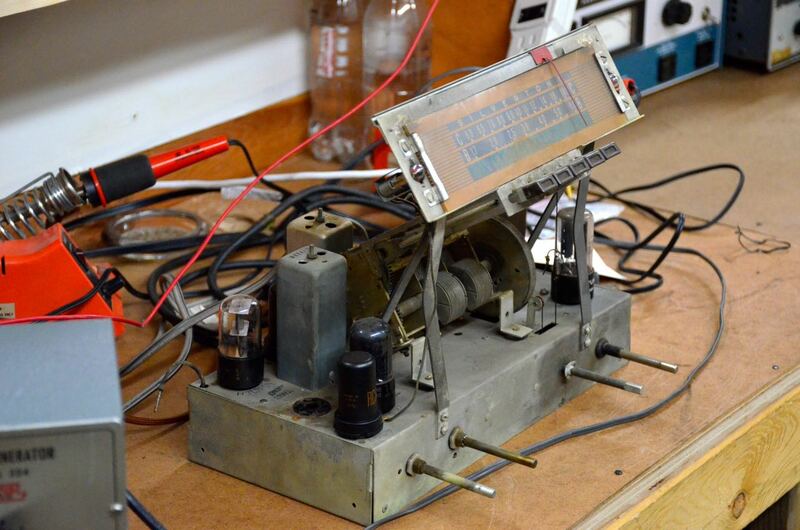 This isn’t a place where vintage radios come to die; they actually come to life here. 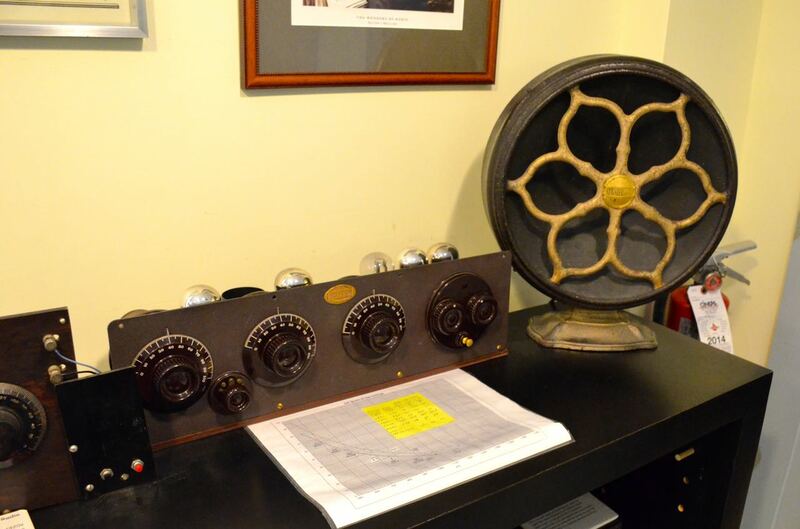 Even examples of some of their earliest radios are on the air and can be tuned to local and international stations. 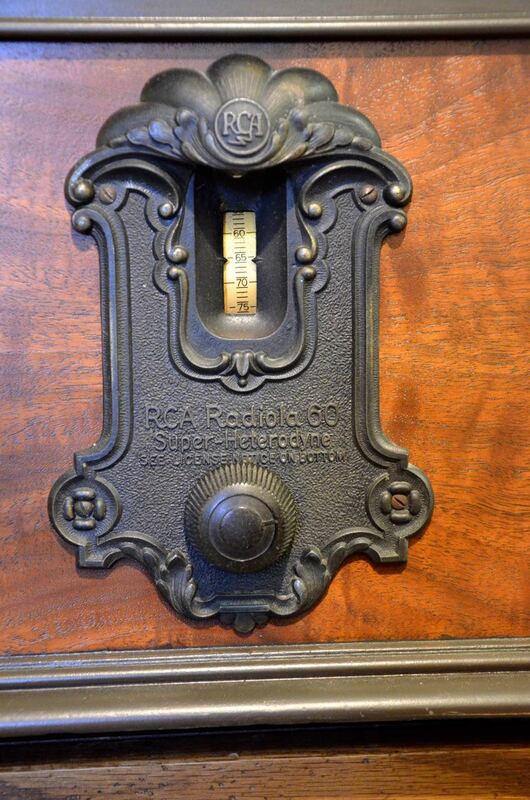 This RCA “portable” (below), housed two batteries on either side of the center faceplate. Note the ad on the wall above–a couple enjoy the RCA as they recline on a beach. 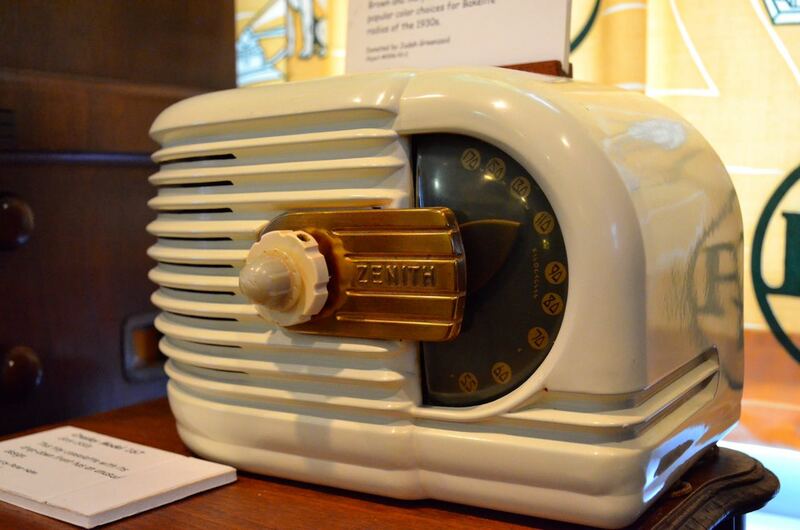 Speakers of the day were pretty amazing, too–check out this hand-painted 1927 Air Chrome Double Cone Speaker, below. 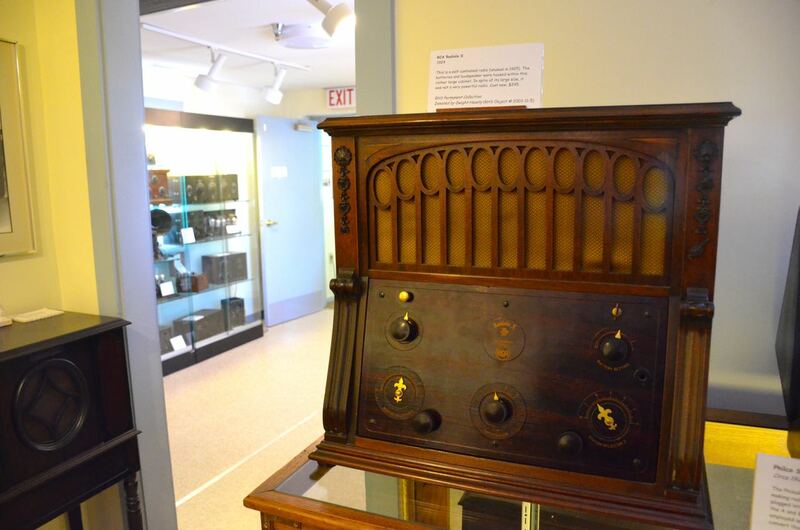 The museum also has an extensive collection of studio and off-air recordings that can be played over an AM carrier throughout the building. 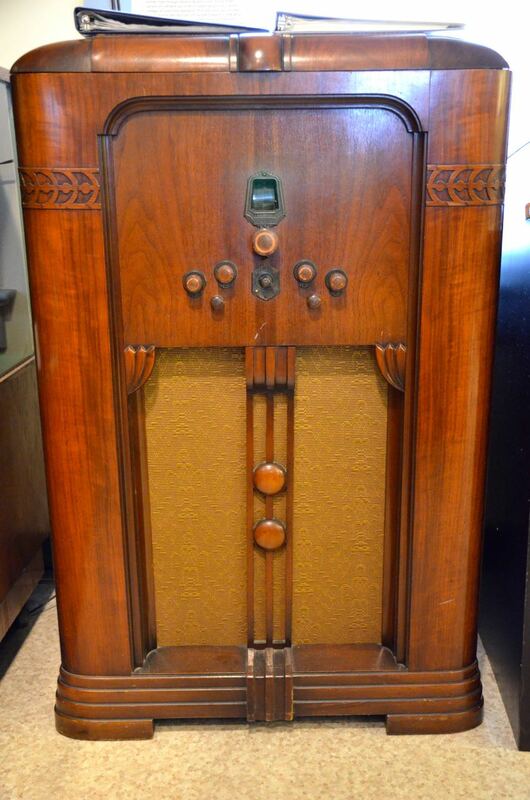 By the late 1920s and early 1930s, radio manufactures built gorgeous console radios, features in the living rooms and parlors of many lucky homes. 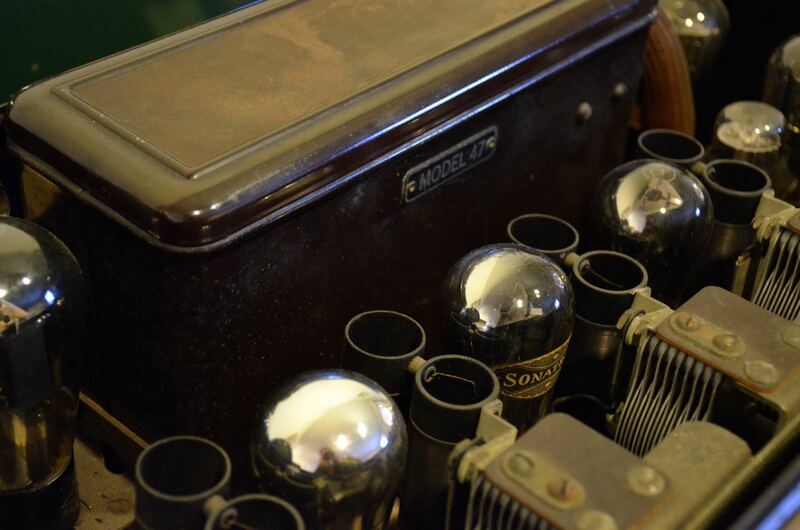 This E.H. Scott All-Wave 23 console (above and below) sported not only twenty-threee vacuum tubes, but a large, robust internal speaker. 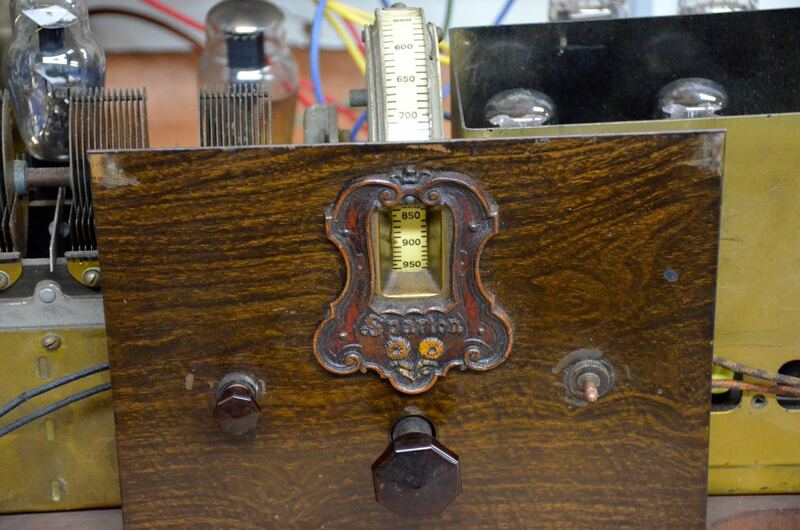 Radio collectors consider the All-Wave 23 to be one of the finest performing radios of the vacuum-tube era. 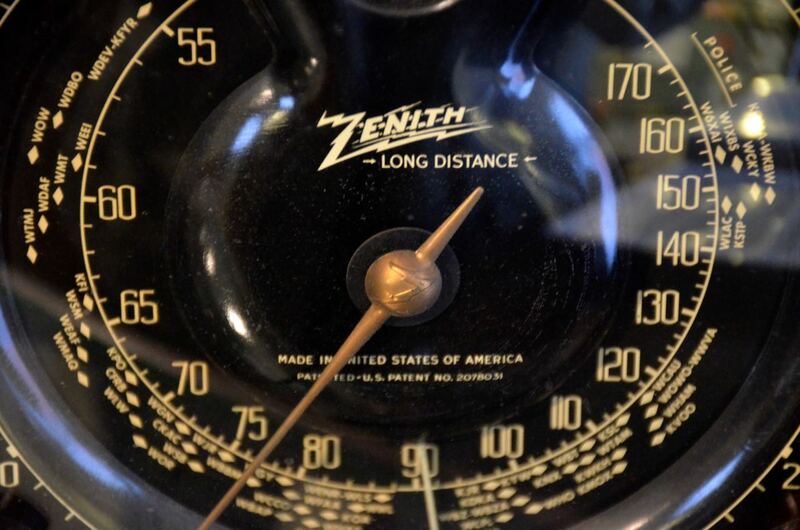 The museum also features the Zenith 12-S-232 tabletop radio with working shuttle dial–a futuristic band-switching mechanical wonder with a stunning dial. 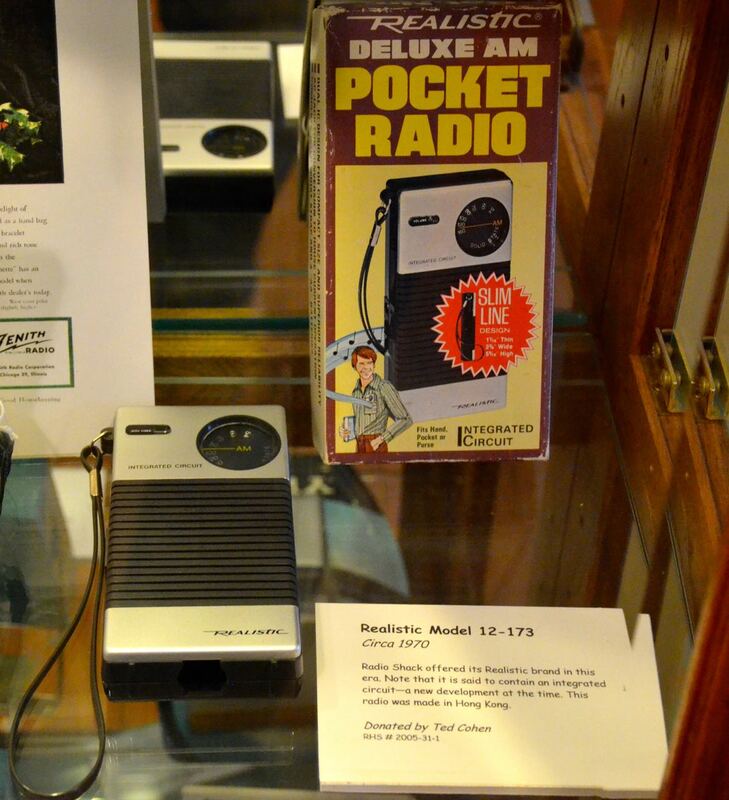 A number of tabletop and portable radios that span the decades have found their homes in this museum. No doubt many SWLing Post readers cut their teeth on these classics! 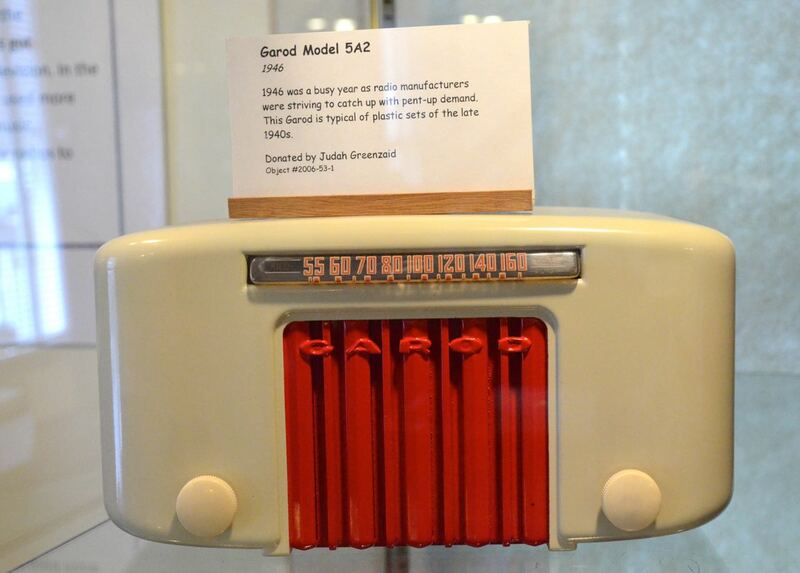 I love the design of the Garod Model 5A2–wow! 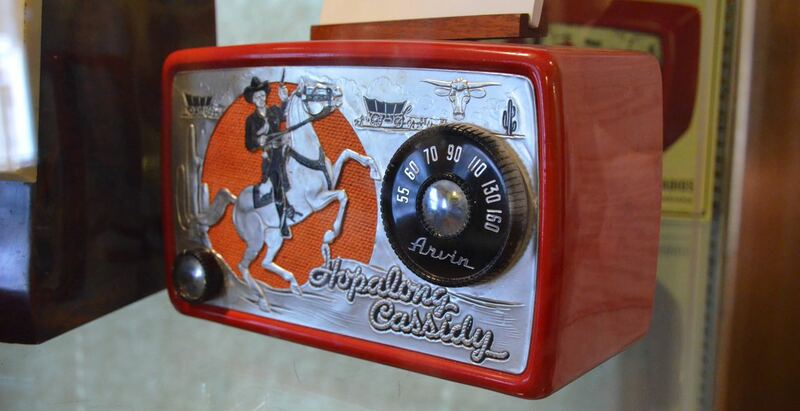 And I’m sure many kids of the fifties wished they had an official Hopalong Cassidy AM radio (below). 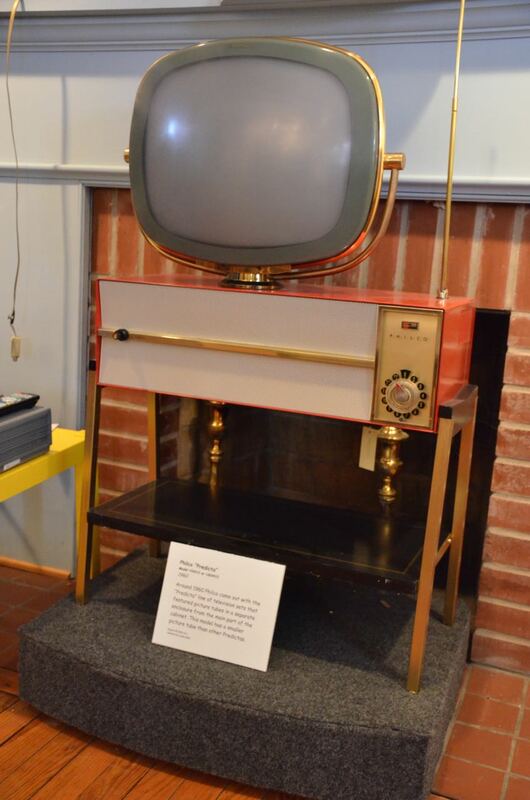 The museum, of course, also houses a large number of classic televisions. 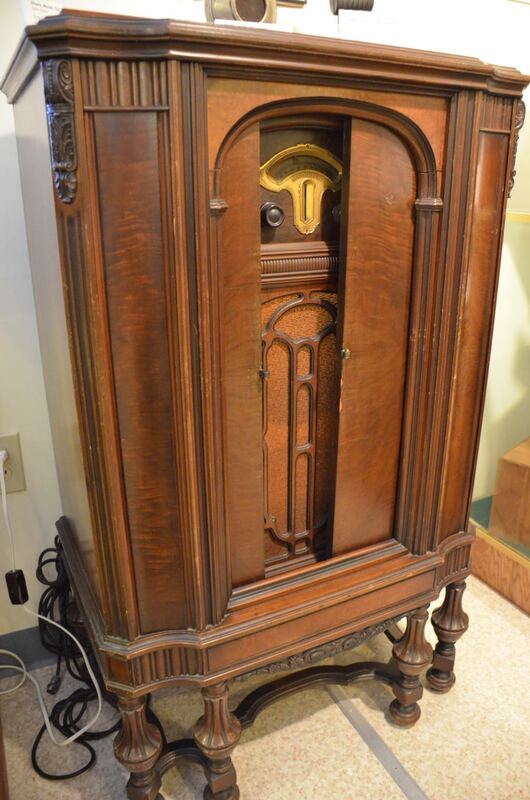 Radio stations and benefactors have also donated many items used in the industry, both in broadcast and retail. 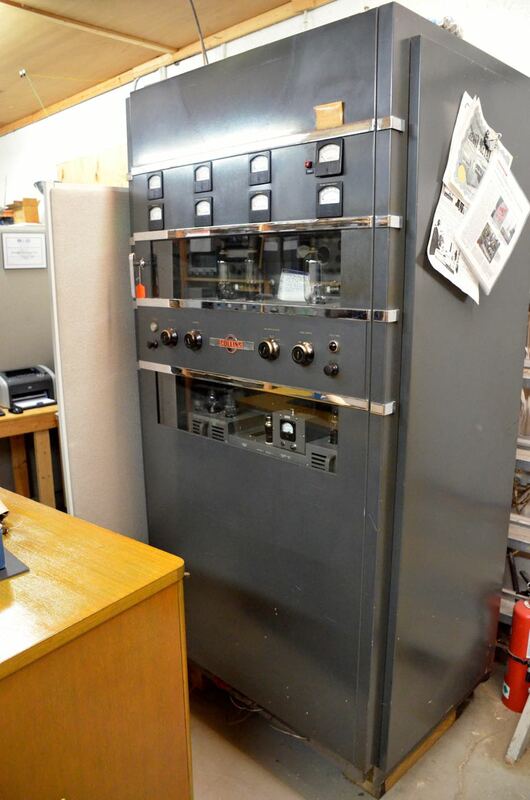 Brian was also kind enough to take me to the building, next door, where they repair radios and store others for eventual rotation into the collection. 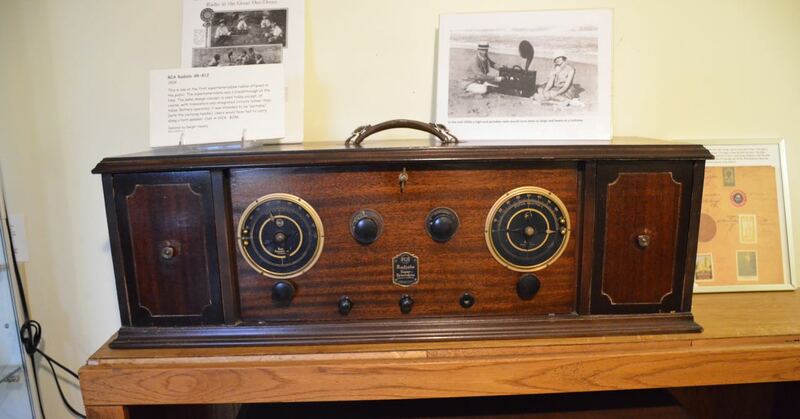 Museum volunteers also teach radio repair and restoration classes. 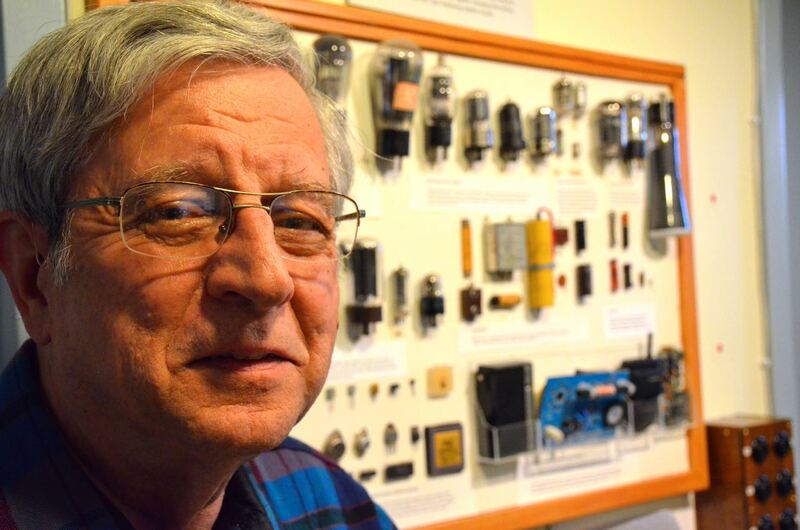 The number of classic ham radios, home brew receivers and transmitters was simply amazing. 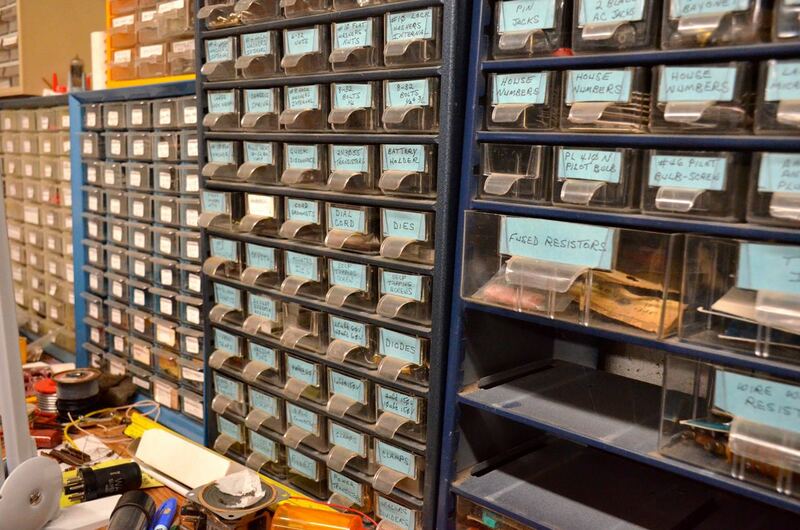 Indeed, I felt like a kid in a candy shop! 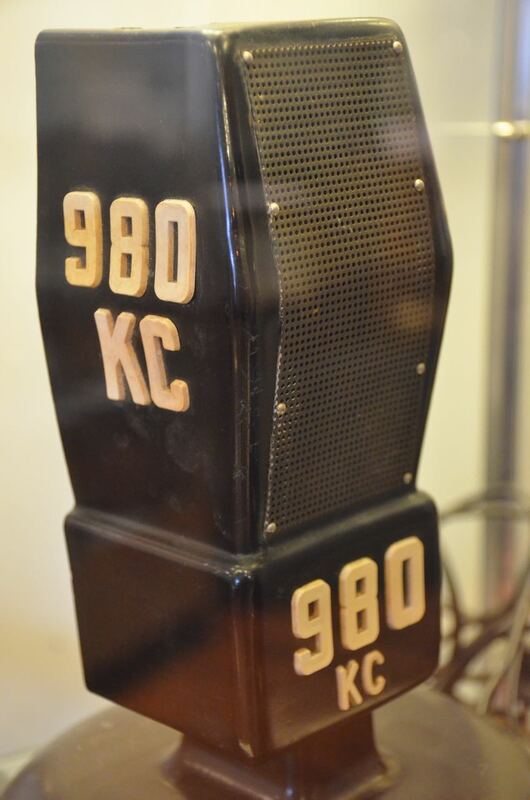 By the end of the tour, I had decided to become a member of the National Capital Radio and Television Museum. 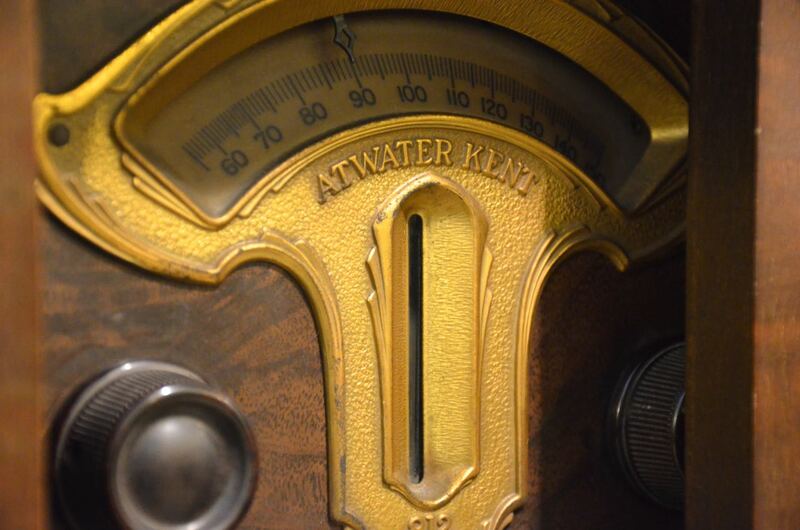 Even though I live a few states away, I like knowing that my membership funds not only help preserve vintage radios and televisions, but also provide me members-only access to many of their scanned archives. Click to view a full list of benefits for a modest $25 membership. 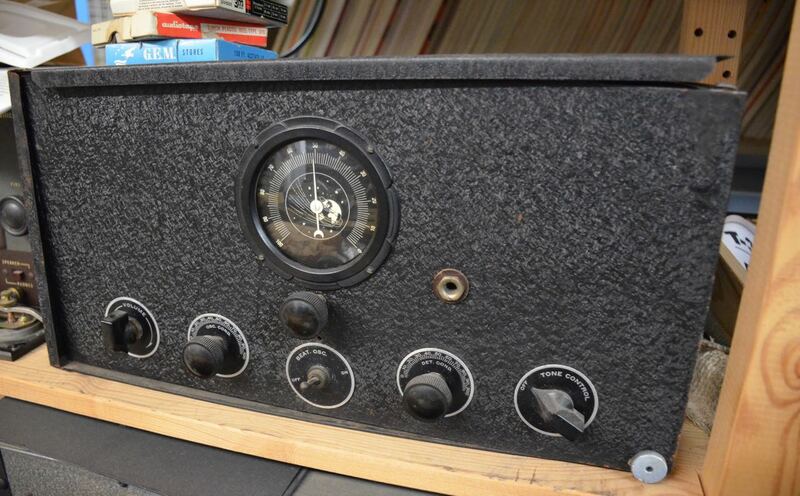 This entry was posted in AM, Articles, Boat Anchors, Ham Radio, News, Nostalgia, Photos, Radio History, Radios, Shortwave Radio and tagged Air Chrome Double Cone Speaker, Antique Radio, Atwater Kent, Atwater Kent Consol, Atwater Kent Model 47, boat anchors, Brian Belanger, Clinton Model 445X, Collins, Console Radios, Crosley, E.H. Scott All-Wave 23, Garod Model 5A2, Hallicrafters, Hallicrafters Super Skyrider, Hopalong Cassidy AM Radio, Miracle Crystal Radio, National Capital Radio and Television Museum, Philco, RCA, RCA Console, RCA Radiola 60, Vintage Radio, Volton Battery, Zenith 12-S-232, Zenith Transoceanic on March 1, 2015 by Thomas.